>Everyday you remind me of what a little lady you are turning into. As you grow into your own person and display your sweet, stubborn and determined personality, you continue to amaze me. On Friday night we had the pleasure of taking you to a wedding, which has to be one of your favorite places to go. The look of awe in your eyes at the site of a real life princess is simply unbeatable. While we watched the wedding cake being cut you made it very clear that you were not interested in the already cut slices of cake. You wanted “the” cake, the princess cake, the vanilla one. I hope that I never forget the sweet look in your big brown eyes and the way that the clear Christmas lights reflected on them while you patiently waited at the end of the cake table for the perfect slice to come off, fit for a little princess. I wish I had a camera that could have caught that moment that I have stored away in my mind, but I will instead rely on my memory and the timelessness of those same beautiful brown eyes that I have been captivated by for the past 3 and a half years. The cake cutter noticed the little girl who had her heart set on the special cake and she let you know it would be a few minutes before she would get to it. 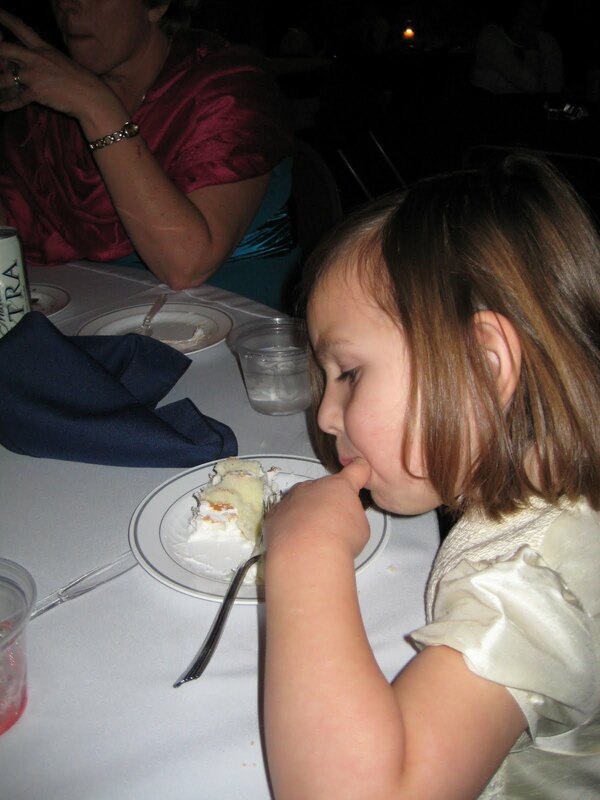 You replied by asking her what her name was and when the top of the cake was cut, Elizabeth the cake cutter slid the first piece onto a plate and delivered right into your little waiting hands and told you that this piece was especially for you. In so many ways you are growing up, getting more patient, more independent and more persistent, but as long as you remember that no matter how big you get, or how determined you are about getting things your way, one thing will always be my way. You will always be your momma’s little princess.